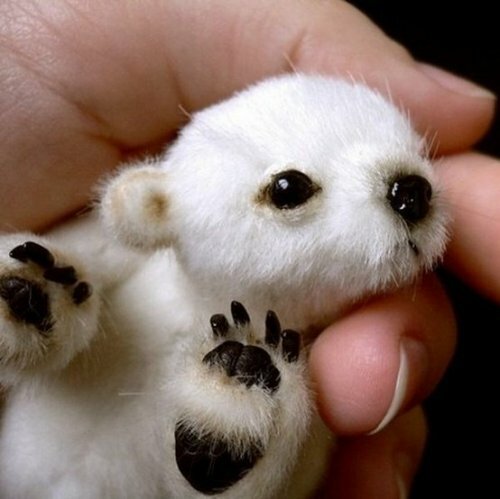 Tiny baby polar bear – Hello Adorable! Amazing miniature plush polar bear by Etsy member TSminibears. Check out more of her work here.